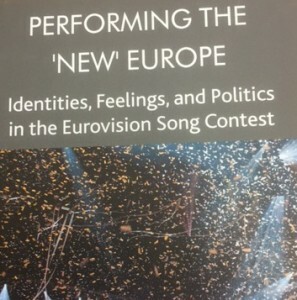 Below are two collections of essays and articles on the political and cultural aspects of the Eurovision, covering gender, sexuality, ethnicity, the politics of inclusion and exclusion, nationhood and identity, conflict, auto-Orientalism, democratic rights, and post-Socialist eastern European politics. This is considered academic research spanning the social sciences, of interest to a far wider audience than Eurovision enthusiasts. 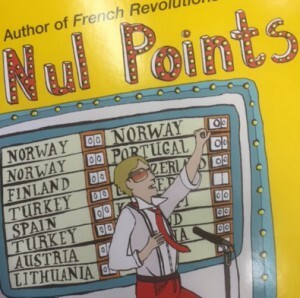 But best capturing the true spirit of Eurovision is the excellent Nul Points, by Tim Moore (2007). This is an account of the lives of 13 performers who received zero points in the contest. A detailed study of personal motivation, thwarted ambition, and life after competitive singing (spolier: there is one). I have many favourite Eurovision songs, but two particular favourites capture my feelings about Europe itself. The first is Parlez-vouz francais? from 1978. An entry for Luxembourg, sung in English by two Spanish ladies (Baccara), called Do you speak French, written by three Germans. It couldn’t have been more European if it tried, and yet it finished in 7th place out of a field of 20 nations, which even now I find incredible. This was also the year that Jahn Teigen ended up with nul points for Norway. A cruel competition. Luxembourg stopped taking part in the Eurovision in 1993 and have never competed since. They had won the competition five times, and were very much a Eurovision heavyweight (see: 1972, Apres Toi by Vicky Leandros). Without being privy to the conversations about this at Luxembourg’s Ministry of Culture, it is difficult to know why they withdrew, but certainly by 1993 the field of entrants had expanded to such an extent that a pre-qualifying round was necessary (there are now two semi-finals), and as their scores throughout the 1980s continued to drop, they perhaps thought that it wasn’t worth bothering with any more, which is an interesting alternative to taking part and moaning about the result. I feel favourably towards Luxembourg for three reasons: Parlez-vous Francais, Apres Toi, and a mature student from Luxembourg who had left a convent to do a Film and Media course at Stirling University. She was responsible for the longest fit of laughter I have ever had (four hours and unable to sober up on any account) following an observation she made about an Afghan Hound on a weather forecast. But that, interestingly, was in 1993, and I have not especially thought about Luxembourg since. They are part of a view I have of Europe that belongs to the past, and in thinking about Europe now, I’m interested in whether it is Europe that I am reflecting on, or nostalgia. The most European I have ever felt was as a child when my mum and dad held an Edam Cheese themed party. Neither of my parents had any connection to cheese or The Netherlands, but one evening in the late seventies our house was full of Edam cheese products and marketing materials. I fell asleep to the disconcerting sound of adults laughing, and woke in the morning to find red wax rind all over the downstairs carpet. I liked that we weren’t Dutch but had been Dutch for one night. We weren’t Dutch ever again, although in 2012 I threw my entire support behind Joan Franka’s entry for The Netherlands, You and Me. She was knocked out in the semi-final, finishing 15th out of 18. I was appalled, and that night I felt like a Dutch national, and downloaded the track in solidarity. Another favourite Eurovision song is Georgia’s 2013 entry Waterfall. Sung by Sophie Gelovani and Nodi Tatishvili, it finished in 15th place. Unlike other post-1989 entries, it has no political content or edge, no European or global message. It is a euphoric love-pop song, which has the effect of making it feel universally accessible to me, even though much of Europe was clearly ambivalent towards it. Georgia spoke to me in a way that our own entry (Bonnie Tyler, Believe in me) didn’t. Its uplifting chorus makes me feel very united, but with what or who? Realistically, with other people who like the same kind of pop music that I do, some of whom, it turns out, live in Georgia. The song itself was written by a Swede. It is all remarkably complicated. We have more resources on the Eurovision Song Contest than you might have imagined, and many of these texts are pertinent reads. 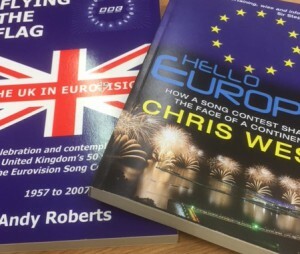 People often snigger at the Eurovision, but as these publications show, it is an extremely rich seam to mine for social and political scientists and cultural commentators, and is clearly more than just a song competition. An article in The Russian Review, vol. 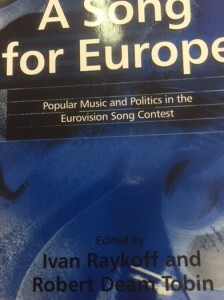 73, issue 1 (available via electronic legal deposit) titled “A New Song for a New Motherland: Eurovision and the Rhetoric of Post‐Soviet National Identity” explains the extremely volatile political circumstances under which Russia’s 2009 entry Mamo was selected. Tensions between Russia and Ukraine are likely to be a feature in the run up to this year’s contest as a result of the choice of Ukraine’s entry, 1944. Of course, a much bigger decision about Europe is also around the corner. 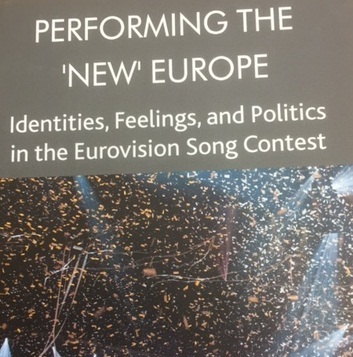 We want to help you to be at least as informed about that as you now are about the Eurovision Song Contest. Between now and the referendum on Britain’s membership of the European Union, we will be directing you towards relevant publications and information from our 14 million or so 20th and 21st century publications in a nonpartisan way so that you can find things out for yourselves.